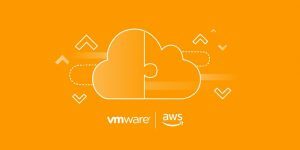 VMware and Amazon Web Services (AWS) are excited to announce that VMware Cloud on AWS is now available in the AWS Europe (Frankfurt) Region. VMware, an AWS Partner Network (APN) Advanced Technology Partner, and AWS have been working together to release new enterprise capabilities for VMware Cloud on AWS every 90 days, as well as add regional expansions of the service to the AWS US East (N. Virginia), AWS US West (Oregon), AWS Europe (London), and now AWS Europe (Frankfurt) Regions. VMware Cloud on AWS is powered by the unified VMware Software Defined Data Center (SDDC) platform that integrates VMware vSphere, VMware vSAN, and VMware NSX virtualization technologies. It enables customers to run applications across vSphere-based private, public, and hybrid cloud environments. Jointly engineered by VMware and AWS, this on-demand service is optimized to run on Amazon Elastic Compute Cloud (Amazon EC2) dedicated, elastic, bare-metal infrastructure. In addition to the functionality, elasticity, and security that AWS provides, customers also get access to the broad range of native AWS services. Our European and multi-national customers can now rapidly deploy VMware Cloud on AWS SDDC in the AWS Europe (Frankfurt) region. This brings our service to a second major European market and a member of the European Union, increasing total availability to four AWS regions in a span of nine months. VMware Cloud on AWS is now General Data Protection Regulation (GDPR) ready and introduces major compliance certifications that include SOC 1/2/3, HIPAA BAA, and ISO 27001/17/18. VMware and AWS are committed to delivering a cloud service that adopts industry best practices in order to meet a comprehensive set of international and industry-specific security and compliance standards. VMware Cloud on AWS adheres to rigorous security standards and is expanding coverage for various compliance measures. VMware and AWS make independent third-party examination and audit reports available to customers that will satisfy a wide range of customer-specific compliance requirements. Customers have been asking for the ability to treat clusters in different Availability Zones (AZs) as a single cluster. We are happy to announce that Stretched Clusters for VMware Cloud on AWS is now available. Stretched Clusters for VMware Cloud on AWS make it possible to treat SDDC hosts in different AZs as a single cluster. Stretched clusters facilitate zero RPO infrastructure availability for mission-critical applications. This enables customers to failover workloads with zero RPO within clusters spanning two AZs, and enables developers to focus on core application requirements and capabilities, instead of infrastructure availability. In a Stretched Cluster configuration, VMware’s NSX logical networks span multiple AZs. This allows you to live migrate (vMotion) virtual machines between AZs without downtime or having to re-address your workloads. Customers have asked VMware and AWS for a way start their VMware Cloud on AWS experience with a smaller configuration. Prior to this release, the minimum cluster size was four hosts. Now, we are introducing a single-host, time-bound offering to kickstart customers’ VMware Cloud on AWS on-demand hybrid experience at a low price. This new option is designed for customers who want to prove the value of VMware Cloud on AWS in their environments before scaling to four or more host configurations for production environments. During the time period the single host is active, customers can easily scale to 4+ hosts and enjoy the full set of VMware Cloud on AWS capabilities such as high availability and disaster recovery (DR) without loss or interruption to their work. Note the service life for the single-host SDDC is limited to 30-day intervals. For more details, please see the FAQs. Customers can rapidly scale Horizon 7 desktops and apps to VMware Cloud on AWS. VMware Horizon 7 for VMware Cloud on AWS delivers a seamlessly integrated hybrid cloud for virtual desktops and applications. It combines the enterprise capabilities of VMware Cloud on AWS, with the market-leading capabilities of VMware Horizon for a simple, secure, and scalable solution. Now, customers can easily extend desktop services to address on-demand capacity, protection of desktop workloads, and AWS cloud co-location for latency-sensitive applications without buying additional data center resources. AWS and VMware are constantly working to improve VMware Cloud on AWS for customers. We would love to hear from you what other enterprise capabilities and innovations we should be working on. Please contact us at aws-vmware-cloud@amazon.com. You can learn more about VMware Cloud on AWS, or check out the roadmap on the VMware website.